Joyce, I have never had a bread salad before, so I find this rather interesting. I had a laugh about your missing capers. This sort of thing has happened to me before LOL! I love bread salad! Yours with all the fresh grape tomatoes looks so GOOD! Such a bright and colourful salad Joyce! I love the ingredients and I think your home made focaccia was the perfect match for the flavours in it. 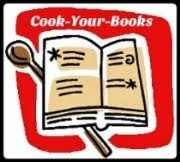 I've really enjoyed cooking with Diana Henry also and don't plan to stop. I have not hear much of Diana Henry too before seeing your IHCC posts. I'm sure that you have learned a lot from her recipes in the last 6 months of IHCC. Very lovely salad. This is so stylish to eat. I've made that salad before - I used some homemade cornbread which didn't turn out quite right. It has such great flavours and it is so adaptable! Ina Garten got me hooked on bread salads--I don't know how I missed this one. Love the colors of the sweet baby tomatoes. I am not comfortable being without capers in the fridge and a backup jar in the pantry! 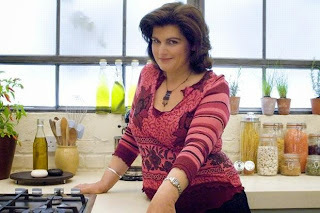 ;-) You made some great Diana Henry dishes--that Spanish-baked fish is still on my list to make. Yum! Beautiful tomato and bread salad. We love capers too and I hate it when I think I have something in the pantry and then find out I've already used it all! What lovely recipes to farewell Diana Henry! I am a newbie this month and look forward to meeting you! This is a great dish, Joyce, and a wonderful choice for our farewell to Diana. I love the changes you made - I think I would have treated the bread the same way you did - and the anchovy stuffed olives were a great substitute.